Fine art is a prestigious possession, and those with the finances to indulge in collecting art as a hobby have set record prices for paintings. 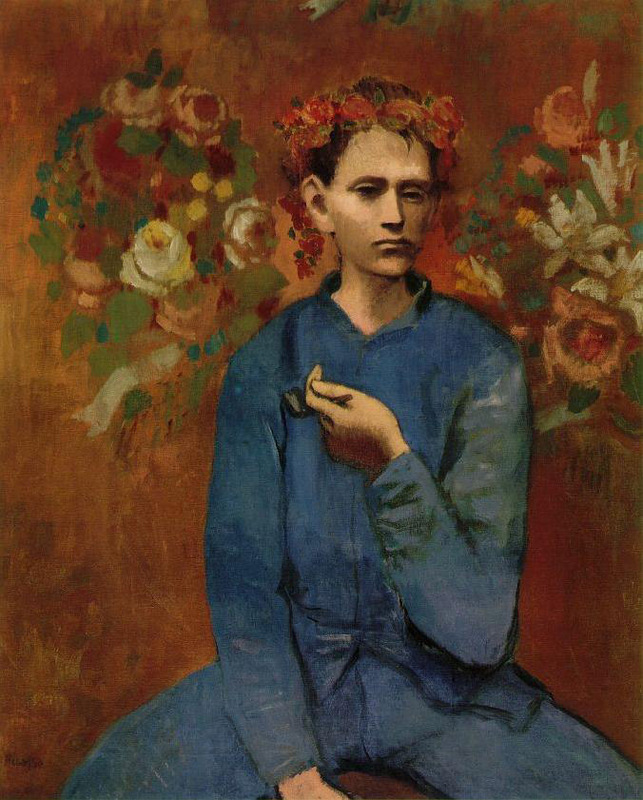 In 2004 Picasso’s Gar�on a la pipe set a record as the first painting to sell for over one million dollars. That record has since been broken several times – have a look. Interesting note: in 2009, Action Comics #1 (first appearance of Superman) and Detective Comics #27 (first appearance of Batman) both topped the one million dollar mark, setting history for comic books and comic book art. Read all about it here. A masterpiece of post-war contemporary art by one of the most famous painters of the modern era, Francis Bacon�s Triptych, is regarded as the most important painting by the artist in private hands. In this work, Bacon utilizes Greek Mythology to depict his personal fate, disclosing in a single work his full range of imagery and iconography. This work easily surpassed its impressive $70 million pre-sale estimate. 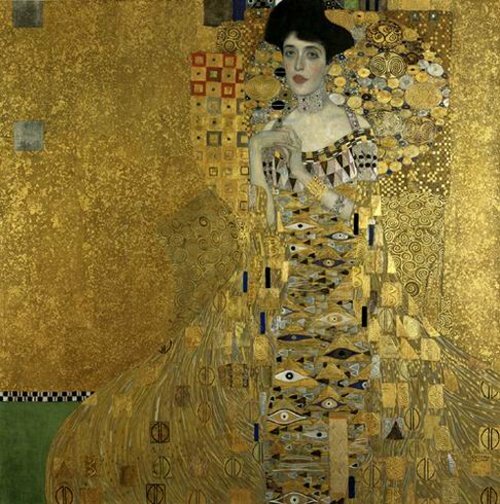 Sold only a few months later than Klimt’s first version of Adele, this extremely appealing canvas was the star lot in a highly successful auction in which four works by Klimt -including this- totaled a stunning $192 million. In this second portrait of Adele Bloch-Bauer, which was painted five years after his first version, the earlier gold backdrop has been replaced by a quieter, more detached background. The painting also demonstrates Kilimt’s new attitude to colour, as well as his “technique of combining elements of reality and unreality”, according to critics. 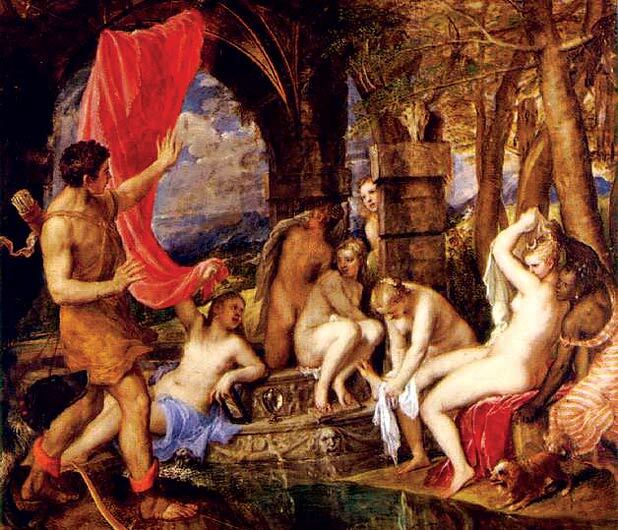 This work have all the splendour and glory of the best of Titian’s ‘painted poetries’. It was previously at the Duke of Sutherland collection, who offered it to the U.K. It has a “sister picture”, “Diana and Callisto”. 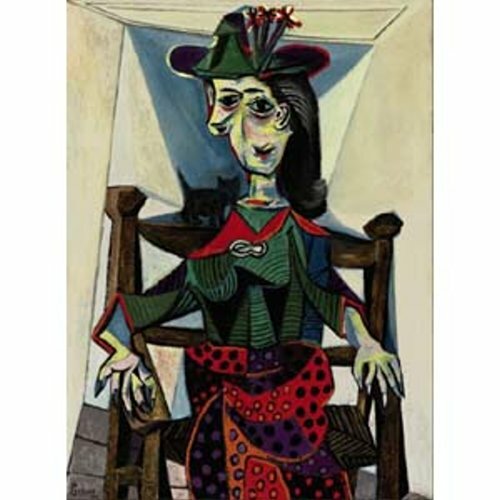 Dora Maar (1907-1997) met Picasso in 1930, and their relationship lasted until 1946. A native from Paris, raised in Argentina and therefore fluent in Spanish, Maar was one of Picasso’s favourite models. This painting, measuring 130- 97 cm, was rediscovered and authenticated by Picasso’s daughter, Maya Widmaier Picasso. An enormous surprise followed when, in 2006, this painting near doubled its inaccurate presale estimate and brought in new record $95,200,000 at auction at Sotheby’s. 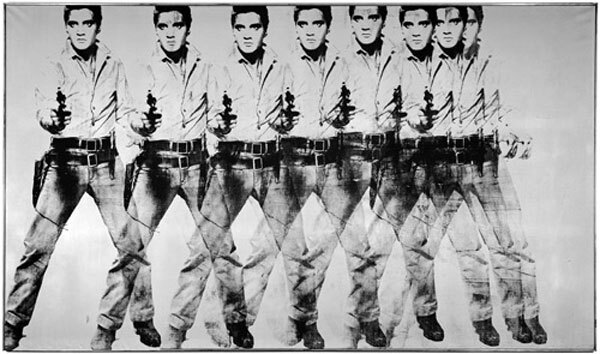 This unique work by Warhol had been at the collection of Roman collector Annibale Berlingieri for over 40 years. It surpassed the previous world record for a work by Warhol, the $71.7 million paid at Christie’s New York in 2007 for “Green Car Crash (Green Burning Car I)”. The 12-ft high picture has not been seen in public since it was shown in Los Angeles in 1963. Created during the Rose Period, Garcon a la Pipe showcases Picasso’s exceptional use of cheerful orange and pink palette. The sale of this young smoker was a milestone in the Art auctions world. It broke the record that Vincent van Gogh held since 1990, and it was the first time that the $100 million barrier was broken. Although the name of the buyer was not revealed, some sources says that he could be Guido Barilla, the Italian pasta magnate. 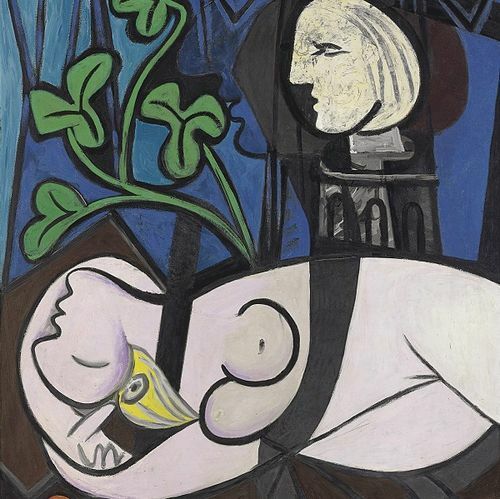 The record price auction at the time on May 4, 2004 in Sotheby’s was a bit of a surprise to the core art buyers, because it was painted in the style not usually associated with the pioneering Cubist artist. This sensual and colorful masterpiece by Picasso is the most expensive painting ever sold at auction. Known as the “lost Picasso” because it had not appeared in public for almost 60 years this masterpiece – now the world’s most expensive work of art ever sold at auction – last changed hands in 1951 for $18,000. The work, formerly in the collection of Mrs. Sidney F. Brody, had been not exhibited in public since 1961. The acquisition of this iconic work by Ronald Lauder, heir of the cosmetics empire of the same name, caused a shock in the Art world, not only for the spectacular sum paid for it, but also for the way it was sold, far away from the noisy auction houses. This record breaking sale was enabled by a court order by the Austrian government to return the painting to the Artist’s rightful heir. The painting was part of a group of five canvases which had been recently returned to the heirs of Ferdinand Bloch-Bauer. The Nazis confiscated his paintings during the World War II, and after the war, the canvases were placed at the National Gallery of Austria in 1948. 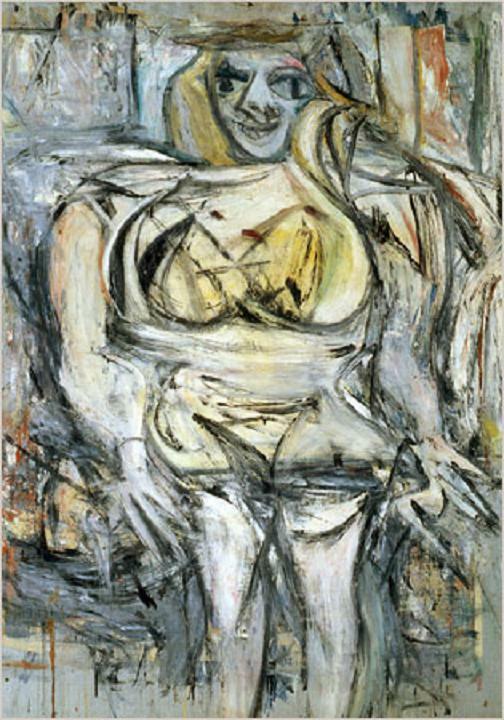 This painting is the only “Woman” by Willem de Kooning still in private hands. Rotterdam-born Willem de Kooning is one of the most consistent and longest-lived exponents of the American Abstract Expressionism style. Woman III is one of a series of six numbered ‘Woman’ paintings, interpreted by many as an exploration of Freudian themes. If unconfirmed reports are correct, Mexican financier David Martinez paid $140 million for this signature work by Jackson Pollock, making it the world’s most expensive painting ever, though the exact price was never confirmed (but the price displayed here is generally accepted to be true). critics say this demonstrates the increasing appetite for abstract art, and the eclipse of Impressionism as the most valuable arts movement, but other factors may be involved: notably the relative rarity of Pollock’s works, his unique drip/ splash style of ‘action painting’, and his American nationality. Check out this amazing story of an accidental find of a Jackson Pollock painting. LOP- I sold a painting to you for $50,000. By reading this you have agreed to pay this in full before Dec 31, 2010 in $5 bills of canadian denomination. Once full payment has been received I will deliver said painting. Thanks for the business.